Solid performance and design make this machine ideal for covering large areas of grass without fuss. Fitted with a Honda 17hp V-twin air cooled engine the Honda HF2417 HM gives great performance and easy starting every time. 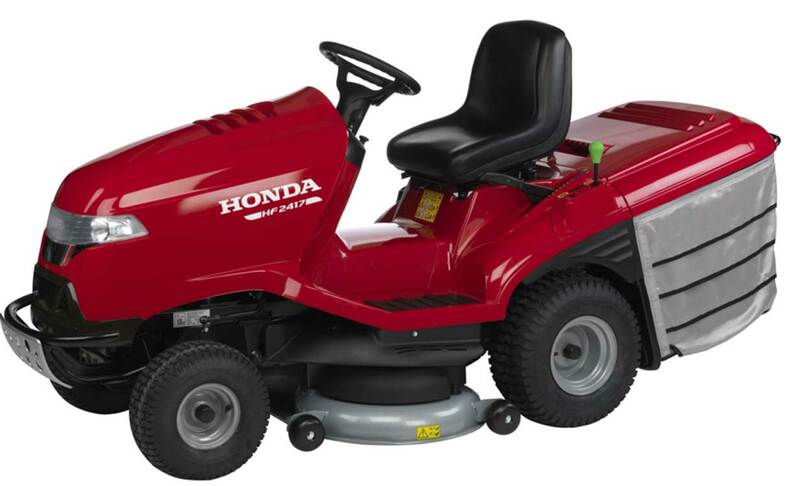 And with a hydrostatic drive the Honda HF 2417 HM ensures smooth operation and a quality cut at any speed, as the blade speed is independent of forward drive speed. 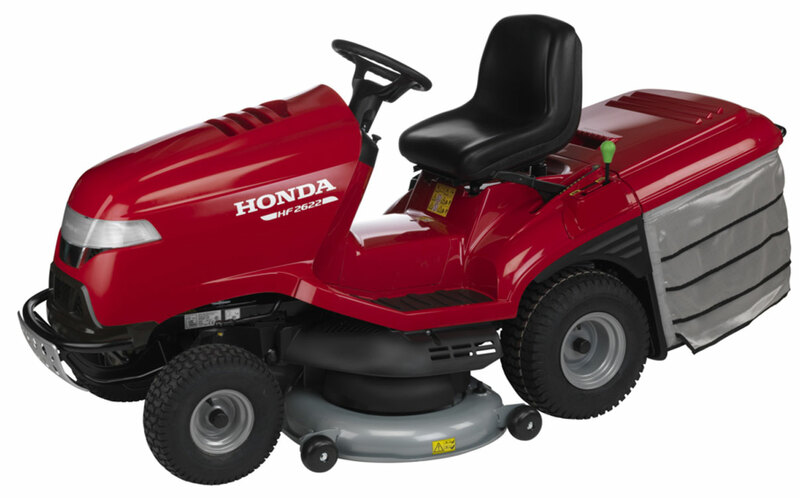 The larger deck of the Honda HF 2417 HM ride on tractor also features anti-scalp wheels allowing the cutter deck to float over uneven ground, protecting the lawn. This enhanced model has an LED diagnostic dashboard, automatic headlights, a pneumatic blade clutch for easy operation and a fan driven collection system for superb grass collection even in wetter conditions. Lawncare has never been so easy. The largest and most powerful lawn tractor we make, the Honda HF 2622 HT is the ultimate gardening machine. 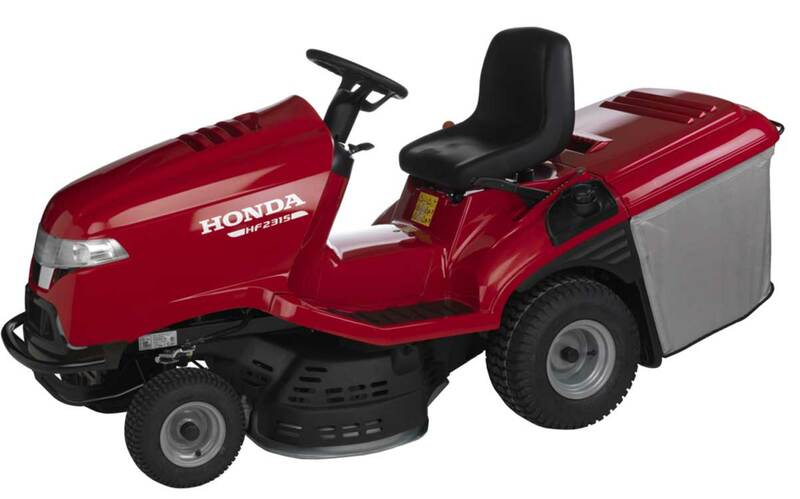 A new Honda 22hp v-twin engine delivers the highest standards of power and precision while a host of other comfort and control features mean that lawncare has never been so easy. The larger 48" deck of the Honda HF2622 HT ride on tractor also features anti-scalp wheels allowing the cutter deck to float over uneven ground, protecting the lawn. This enhanced model has an LED diagnostic dashboard, automatic headlights, electric blade clutch for easy operation and a fan driven collection system for superb grass collection even in wetter conditions. All orders for Honda Tractor Mowers are placed on deposit to your requirments, please visit the Honda Gardencare website below for their full range.